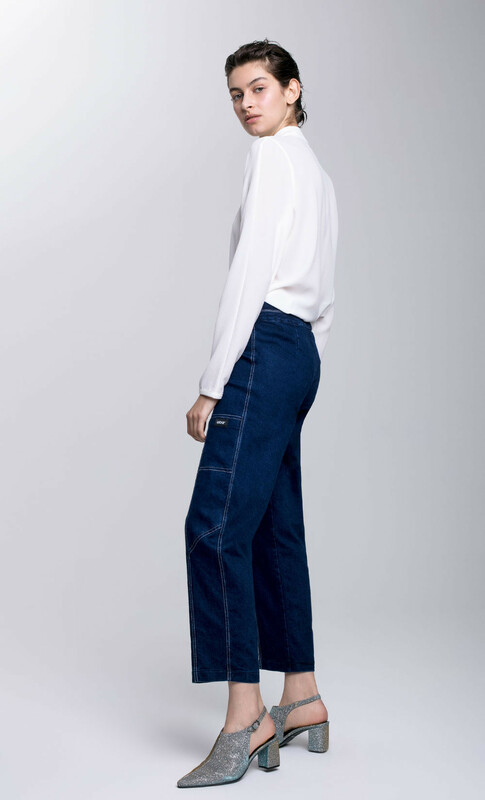 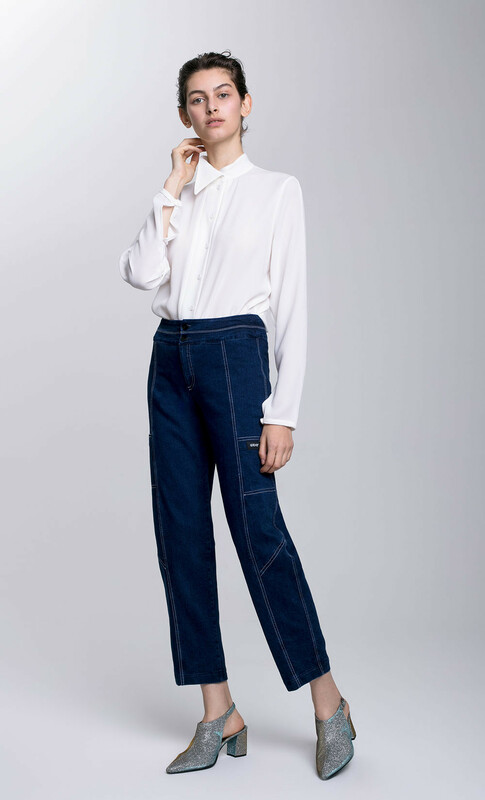 This pair of high-rise trousers in a perfect structured denim is one of this season’s must-haves. 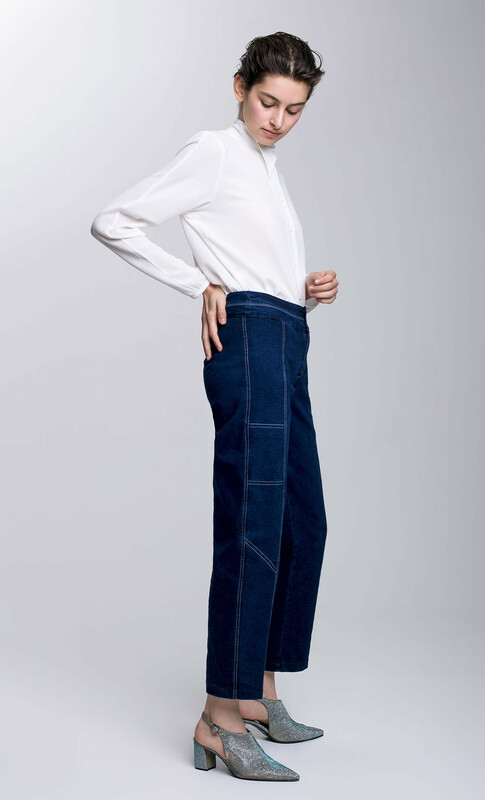 Detailed with low paneled pockets, they are wide through the leg and are more fitted and defined around the waist. 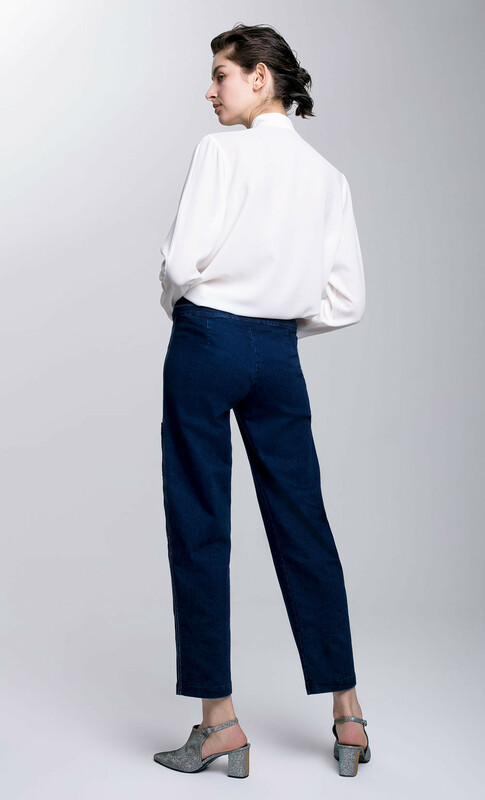 The trousers are available in two versions: black denim with contrasting red stitching and blue denim with white stitching.